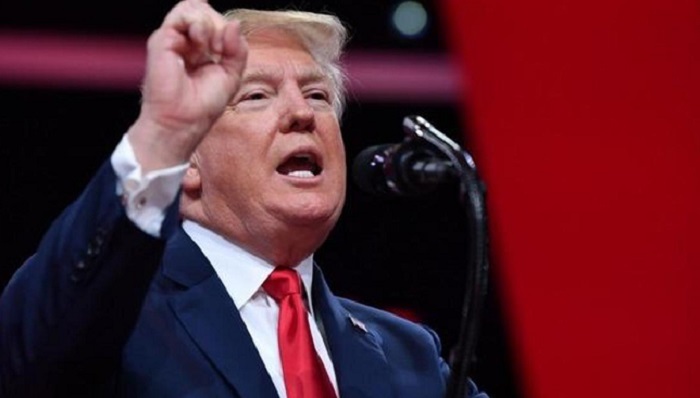 US president Donald Trump ranked 715th richest person of the world according to the latest Forbes list of the ultra wealthy. Though Forbes estimates Trump's wealth at $3.1 billion, unchanged from last year, he jumped 51 spots in the ranking this year. While 994 people from last year's ranking saw their wealth drop -- a record, according to Forbes -- Trump rose in the Forbes ranking from 766 last year to 715 this year. Trump's nine New York skyscrapers, including the famous Trump Tower on Fifth Avenue, account for nearly half of his wealth, while his clubs and golf courses are valued at $550 million. However, one of Trump's Florida golf clubs, the National Doral Miami, took a hit and has been depreciated by $26 million following a sharp drop in bookings attributed to disagreements with the president's policies, Forbes said. Trump is not the richest US elected official: that honor goes to J.B. Pritzker, a Democrat who took office as governor of Illinois in January. Pritzker, heir to the Hyatt hotel fortune, was estimated to be worth $3.2 billion.